I read this article and found it very interesting, thought it might be something for you. 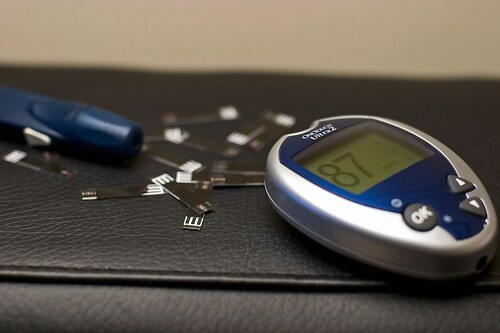 The article is called GSMA mHealth Grand Tour Highlights How mHealth Can Prevent Diabetes and is located at https://hitconsultant.net/2013/09/05/gsma-mhealth-grand-tour-highlights-how-mhealth-can-prevent-diabetes/. GSMA mHealth Grand Tour kicks off first-of-its-kind live clinical study designed to raise awareness of diabetes and promote the delivery of mHealth solutions. There are 55 million people living with diabetes in Europe and about 10 per cent of the overall EU annual healthcare expenditure is being spent on diabetes, according to International Diabetes Federation. To raise awareness of diabetes and showcase the power of mobile health (mHealth) solutions, The GSMA mHealth Grand Tour, a 13-day cycling challenge from Brussels to Barcelona kicked off today at the Autoworld Museum in Parc Cinquantenaire, Brussels. The mHealth Grand Tour is a first-of-its-kind observational study designed by Professor Michael Trenell, NIHR Senior Research Fellow and Director, MoveLab, Newcastle University, into the effects of multi-day endurance exercise on blood glucose levels, using data captured and transmitted wirelessly through a multi-vendor mHealth solution. The study will track the health and cycling performance data of elite and sub-elite athletes with type 1 diabetes, as well as cyclists without diabetes. For the observational study, a Dexcom continuous glucose monitor worn by the riders and sensors on their bike computers transmit statistics over the ANT+ protocol to Sony Mobile handsets, so riders can track their own progress. The sensors also transmit the stats to a HMM module that is part of a complete Orange solution that in turn sends them over mobile broadband to a live website and to the cloud, for later download by the observational study team. The website will contain a McCann Health data visualisation portal for tracking the riders’ stats and an Orange geolocation portal for tracking the riders’ progress. All mobile broadband technologies in the solution comply with Continua Health Alliance guidelines for interoperability. GSMA research, developed in partnership with PwC, has already shown that mHealth can save five million people in the EU from being at risk of developing diabetes by 2017. The GSMA mHealth Grand Tour will depart from Brussels on 5 September 2013 and arrive in Barcelona, after 2,100km and 22,000m of climbs, on 18 September 2013.